Previewing MarsEdit 4 just shows "Looking for MarsEdit"
I have MarsEdit 4.0.8 (8537) (not from the App Store) and Marked 2.5.10 (930). 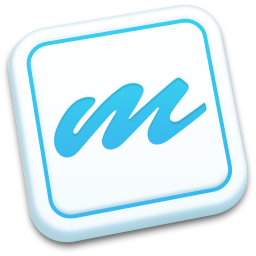 In Marked I take Preview -> MarsEdit Preview. The preview window opens with the text "Looking for MarsEdit", and nothing more happens. Is MarsEdit open and editing a post when you see this? to update for. I'm working on it right now for the next release. That's great. Thanks for letting me know. Has this been looked at? I'm having the same issue here, several months later. It works for me now, and has done since not too long after the above exchange. Have you updated to the latest version? I have Version 2.5.27 (964). Also I just tried it in Mojave, and I had to give Marked permission to control MarsEdit, but that's just clicking "OK". Yes, I believe this has been fully addressed, but if you're still having issues, let me know which version MarsEdit 4 you're running (version number and whether it's MAS/direct) and which version of Marked 2 you have. Ok, I'm traveling this week, but will take a look at it when I get a chance.